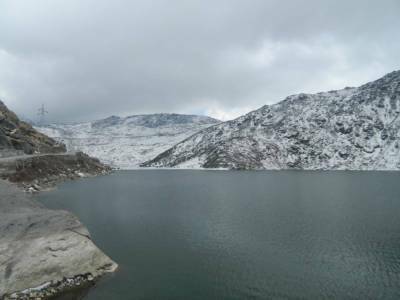 The main tourist attraction of the main tourist spot, Gangtok is the Tsomgo Lake and also known as the Changu Lake. 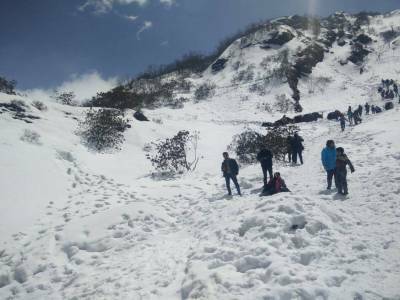 It is up there at an altitude of about 12310 ft above the sea level in the high Himalayas that is reached by an army operated motorable road known as the Jawaharlal Nehru Road. The lake is the main attraction of the whole region. The Changu Lake is located in the cradle of the high mountainous Himalayan Range of the Kanchenjunga. 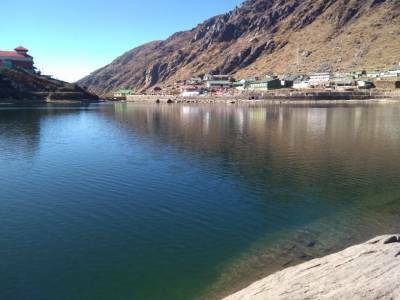 The Tsomgu Lake is very easy to reach for it is the main sightseeing location from Gangtok. The distance from Gangtok to Tsomgo Lake is only 35 KMs but what is most interesting is that it takes only 15 KMs to get to 10000 ft altitude from 5410 ft. The steep climb also makes this road very perilous and more so if the pat is covered with sleet and snows. 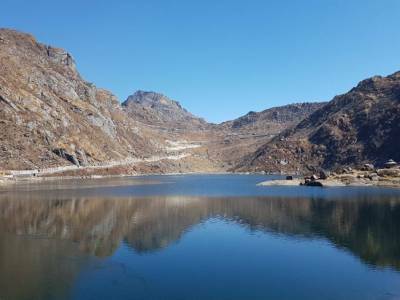 The Tsomgo Lake is on the path of Gangtok Nathu La Pass highway but it goes straight from the checkpoint turning towards the path. 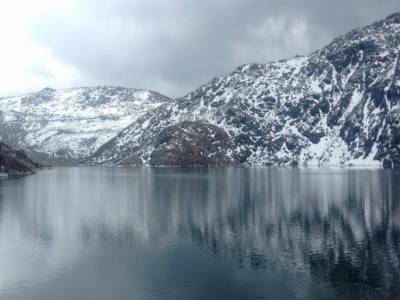 The Changu Lake is a scene to behold, whether it is covered with snow or it is filled with deep cold waters. During snow covered phase the Lake is used for snow sporting activities like skating, ice hockey etc and during summer months the boating on the lake is the most favoured activity. In summer the Tsomgo Lake is like a piece of paradise. During clear weather, the golden Kanchenjunga Range reflects beautifully on the blue still waters of the lake giving it a mamma mia salutation. Other spots near Changu or Tsomgo Lake are the Alpine Wild Sanctuary, the Lake shore side market and the nearby Baba Mandir in the mountains. Get quick answers from travelers who visit to Tsomgo Lake.